"The Fact-Finding Mission (FFM) of the Organisation for the Prohibition of Chemical Weapons (OPCW), confirmed in a report released today that sarin was very likely used as a chemical weapon in the south of Ltamenah, Syrian Arab Republic, on 24 March 2017. The FFM also concluded that chlorine was very likely used as a chemical weapon at Ltamenah Hospital and the surrounding area on 25 March 2017," the statement read. However, the international body explained that drawing final conclusions on the issue would require a longer period of time, due to "the collection of information and material, interviewing witnesses, as well as analysis of samples." 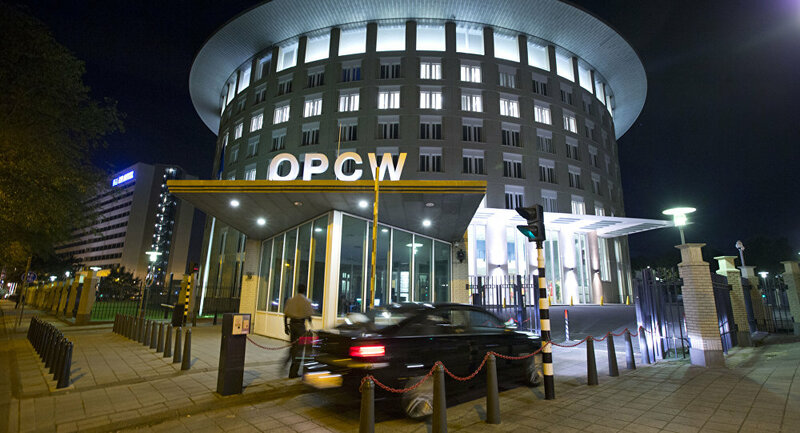 The report released by OPCW lays out that the assumptions they made are based on "separate witness testimony, epidemiological analysis and environmental samples," without providing any further details. The investigative body has further explained that its mandate is "to determine whether chemical weapons or toxic chemicals as weapons have been used in Syria," without identifying those responsible for the attacks. The alleged use of chemical weapons in Syria has become a hot topic on the international agenda over the last several years after numerous accusations by the Syrian opposition, as well as Western countries, against Syrian government forces. The latter has been blamed for alleged chemical attacks in different parts of the country without any solid evidence. This has repeatedly been underlined by Moscow, which has stressed that drawing any conclusions without the presence of inspectors at the site is wrong. Reacting to the claims, Damascus has repeatedly said that it destroyed its chemical weapons stockpiles under OPCW supervision, what has been confirmed by the international organization itself.